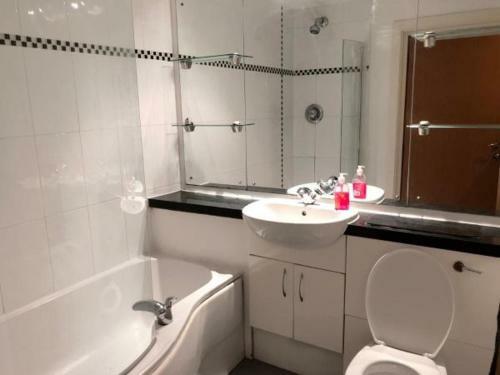 A lovely apartment in a great location! Everything was cleaned to a high standard, wifi was fast and the check in was super simple. Will be booking again! I was almost put off from booking by some of the negative reviews but it was such a good price that I booked anyway and I was very pleasantly surprised! 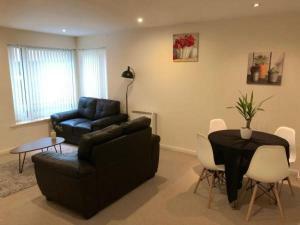 The apartment is lovely - two comfortable bedrooms (one with en suite) and a very cosy living area and kitchen. It was cleaned to a really good standard too! The host mentioned that it was newly decorated so that might be why it's nicer than previous guests experienced. Either way, I'd highly recommend for the price and location! Excellent value and a lovely host. Very nice and modern, good space. 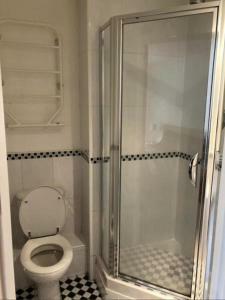 Has everything you need for a short stay. Great customer service and very clean. Got into our appartmen and had a problem with the heater as we couldn't turn it off. Rang the landlord and he was there with in 30 mins to sort it out and let us enjoy the rest of the stay. Loverly and clean.. next time i visit manchester i know where I'm staying. DEFINITELY RECOMMENDED GUYS 10/10!! The central location of the property was great. Communication was good. One of our bestsellers in Manchester! 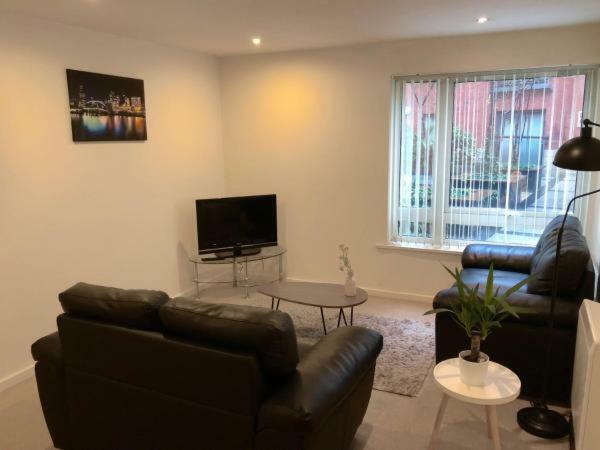 Located in Manchester, Spacious 2 Bedroom City Centre Apartment provides accommodation 0.7 miles from Greater Manchester Police Museum and 0.7 miles from Manchester Arena. Free WiFi is offered. Chetam's Library is 0.9 miles from the apartment, while Royal Exchange Theatre is 1.4 miles from the property. The nearest airport is Manchester Airport, 10.6 miles from the property. 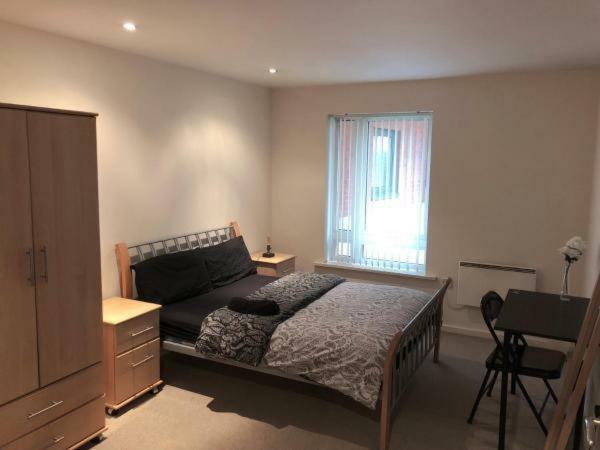 Spacious 2 Bedroom City Centre Apartment has been welcoming Booking.com guests since 7 Feb 2018. When would you like to stay at Spacious 2 Bedroom City Centre Apartment? 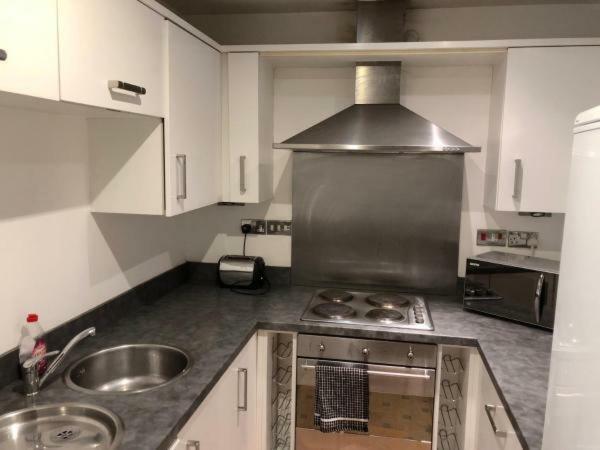 This apartment has a dining area, dishwasher and oven. 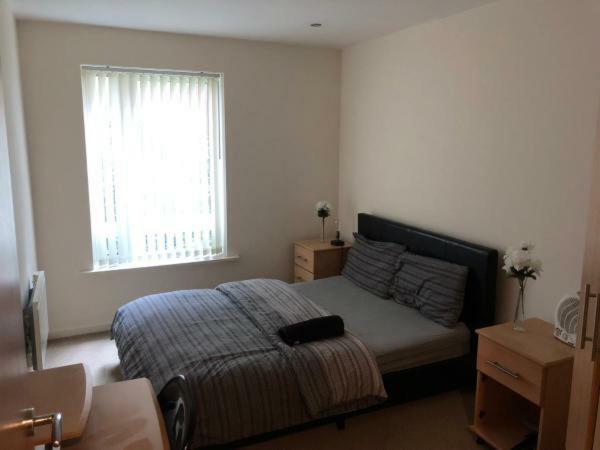 House rules Spacious 2 Bedroom City Centre Apartment takes special requests - add in the next step! Please note the property does not have a reception. Guests must agree a check-in time the day before arrival unless it is a same-day booking. For same day bookings, one hours notice of arrival may be required. Please also note that same day bookings may involve a self check process. A damage deposit of GBP 100 is required. The host charges this before check in. This will be collected by bank transfer. You should be reimbursed within 7 days of check-out. Your deposit will be refunded in full by bank transfer, subject to an inspection of the property. Please inform Spacious 2 Bedroom City Centre Apartment in advance of your expected arrival time. You can use the Special Requests box when booking, or contact the property directly with the contact details provided in your confirmation. Two of the main amenities were out of order during our stay - I went to the supermarket and bought food to cook for the entire apartment but the hobs did not provide a sufficient amount of heat to fry, cook or boil any type of food. For instance, we had tried to boil pasta but it had been sitting on the hob for over 35 minutes and it did not soften. I tried to heat up the oven as an alternative which had proven very difficult because the symbols showing the degrees and oven functions had completely faded! The TV wouldn’t work, we were informed a power adapter and remote batteries would be delivered soon after arrival however the wrong batteries were supplied for the remote, which forced us to spend £7 on the correct type of batteries that night. We were then faced with the task of setting up the television (which surely should already have been completed by the owner?) to which we realised the television could not find any channels at all. We contacted the owner regarding this problem also and he was consistent in telling us that it would work whenever we tried every option, we scanned all the channels more than 10 times via cable and air and it was clearly not working. We were then told that the owner himself would be attending the property during the hours we were out of the apartment to fix this issue and that he would have an electrician’s number if needed. We returned after the hours he said he would call, the television was exactly as we left it and the hobs on the cooker still didn’t provide adequate heat. Therefore we continued our trip not being able to watch any form of television which did affect the general atmosphere in the apartment and during times where we planned on sitting and relaxing in the apartment, watching television we could not. 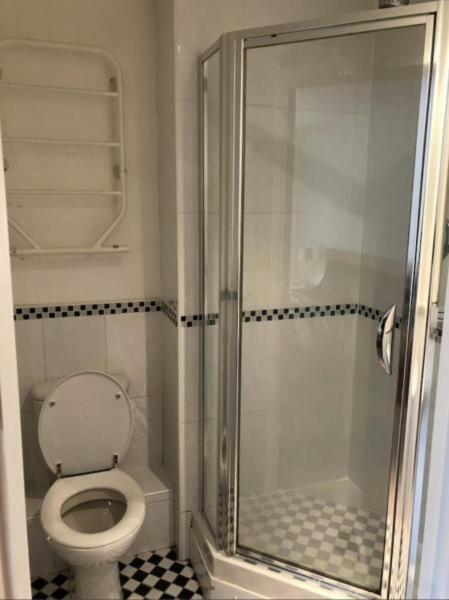 A further point I’d like to make is that the owner never informed us about the showering system and how a water heater must be turned on “boost” in order for any hot water to be produced in the shower. The apartment wasn't clean, dirty toilet and floors. Poor kitchen equipment, no pots and pans (had to have some brought over) and limited cutlery i.e. no large sharp knives, colander, spatula etc. Only enough hot water for one person to shower, useless for a 2 bed apartment. Apartment smelled of smoke. Was informed by email on the day at 3am that checkout was by 11am, which was incorrect.